The Mail Center staff would like to remind you that PINK SLIPS are no longer being used. You need only your ID to pick up packages. 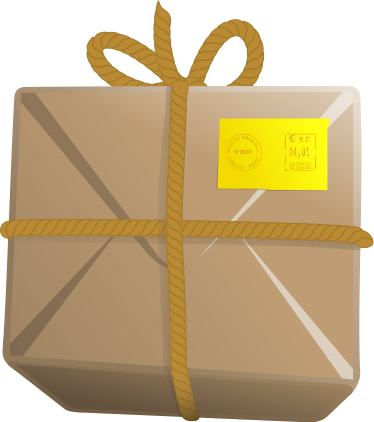 You will receive an email notifying you about packages. If your email has the word “delivered” in the subject line, the package will be IN your mailbox, so please still check your mailbox! Contact the Mail Center at mailroom@wartburg.edu or 352-8263 with questions, and please be patient as we learn the new system. The emergency notification system for Wartburg College, WartburgAlert, will be tested Thursday, Jan. 12, around noon. WartburgAlert is tested, at minimum, once per term. Alerts aren’t automatically sent. You must register your phone number in order to receive alerts. There is no charge for registering, and you may register up to two numbers for text notification and two numbers for voice phones. You are strongly encouraged to register a SMS number to receive a text, as it is the quickest and most reliable means of notification. To register, log in to the InfoCenter. Under “Offices,” select “Parking & Safety” and then “WartburgAlert.” If you have problems registering, come to the security office Monday through Friday, between 8 a.m. and 4 p.m. To verify that you are registered before Jan. 12, send an email to campus.security@wartburg.edu. Martin Luther King Jr. Day is fast approaching! Look for the VAC table on the first floor of Saemann Student Center during weekday meals to sign up for the Day of Service next Monday, Jan. 16, which begins at 1:30 p.m. with a kickoff in Levick Arena. Contact vac@wartburg.edu if you have questions or cannot sign up in person. The Wartburg Store is excited to host Game Knights on Thursday, Jan. 12, 7-10 p.m., in the McCoy rooms. Modern strategy board games, including Carcassonne, Ticket to Ride, Pandemic, Dominion, and Agricola, will be available, as well as many more. No prior game experience necessary. Whether you like social, strategy, competitive, co-operative, or card games, we’d love to play with you! Wednesday, Jan. 11, depart at 1:30 p.m. for Buena Vista. Friday, Jan. 13, depart at 3 p.m. for Mount Vernon. The wrestling team went 3-0 at the college's annual Desert Duals in Las Vegas, as reported by the Waterloo-Cedar Falls Courier. Corey Tafoya ’93 was named the superintendent for Harvard Community Unit School District 50, according to the Northwest Herald.